Download 100s of Plans In My Free Lifetime Membership & Never Run Out Of Projects To Build! Almost there! Simply enter your correct email address and we'll send all 100 plans over to your inbox! The FREE, Fast & Easy Way To Your Next Project! Get access to our members area where you’ll get 100 free woodworking plans and patterns. Tired of overpriced and shoddy plans? With our free plans, you can create stunning projects and save time and money in the process! All our plans are highly detailed, guiding you from start to finish. You’ll never be left guessing on what to do next. If you've landed on this site, we have one thing in common - Woodworking. And if you're like me you have your fair share of plans from magazines and books. Here's the big problem: Most of them are shoddy and incomplete and will leave you with more questions than answers. Many of my students were left with half-finished projects and it frustrates me. So I decided to draft my own set of plans to solve this problem. These plans are an accumulation of my 40 years of woodworking experience and know-how. I offered my free plans as a membership to students in my workshop but for a limited-time, I'm sharing my plans with the public. If you would like to get a lifetime free membership to my woodworking plans (I draft new plans every month!) - then click the big orange button below to sign up today! Save Time, Money & Have Fun! Almost there! Simply enter your correct email address and we'll send the plans over to your inbox! Get plans, step-by-step instructions and drawings for various types of projects – from small crafts to large sheds. All 100% Free. Learn techniques and tips that myself and other professionals use in their workshop to build stunning projects. Get access to free updates every month for life. You’ll get free books, plans, videos and much more – sent to you every month. Thanks for the awesome plans John! Love your written details and drawings. I just downloaded the side table plans and I can't wait to get started on it this weekend. John, you should start charging for these plans. There are places that sell plans which are far less complete. Your set of plans are far superior in every aspect! Start your next project with plans from my free membership. There is absolutely no cost and it will always remain free. I won't ask you for your address or your credit card. All you need is to provide me with an email to register your membership account. 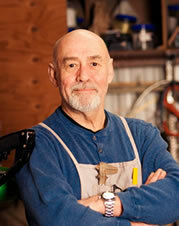 John Rowe is the founder of WoodPlansFree.com and he has been a professional craftsman for more than 50 years. He founded the site to share his passion and knowledge for woodworking to the community. Through this site, he offers free woodworking plans as well as tips to his members.